Foundations in the region contributed $6.3 billion to charitable causes, representing a 22.5% increase since the last study was issued in 2014, while their assests totaled over $92.5 billion, an increase of 28.2%. 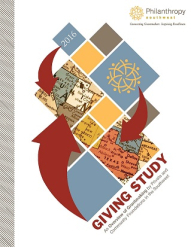 While equally detailed national data that compare to Philanthropy Southwest's 2016 Giving Study are not available, 2014 data from the Foundation Center show foundation assets nationally to be $821.1 billion, with $52.9 billion in total giving nationally. A comparison between these two reports suggests the southwest region hold about 11% of all foundation assets and is contributing about 12% of philanthropic dollars annually.